I guess sullenly slouching and shoving your hands in your pockets is today’s equivalent of “attitude”? Anyways, here you go—your first, somewhat low-key official look at the new Power Rangers movie. 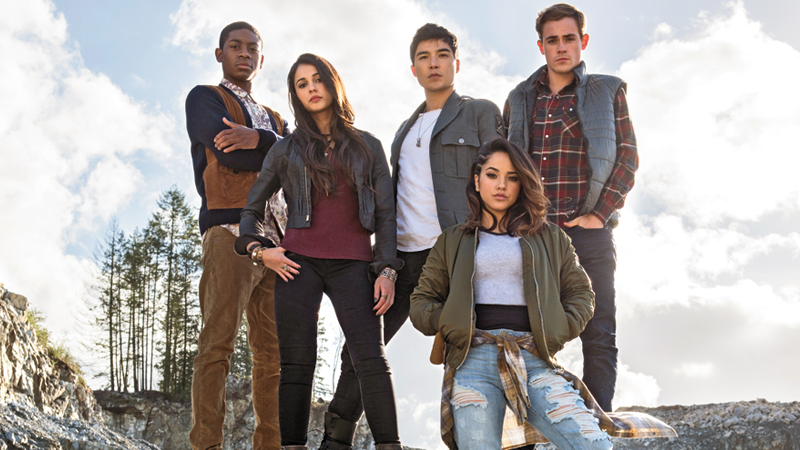 Entertainment Weekly has revealed the shot of the non-transformed Rangers: from left to right, RJ Cyler’s Billy, Naomi Scott’s Kimberly, Ludi Lin’s Zack, Becky G’s Trini, and Dacre Montgomery’s Jason. If you were expecting giant robots, sparkly sentai suits or huge explosions in the background and some serious posing, then sadly you’re not getting it here. At least the Rangers’ civilian looks aren’t color-coordinated to their Ranger uniforms, like the stylish teens of the new comic series. But yeah, this is less Power Rangers, more young adult fashion line advertisement for now. They certainly look like people who could possibly turn into Power Rangers later, though!